Insurance group: 8 - 18 How much is it to insure? 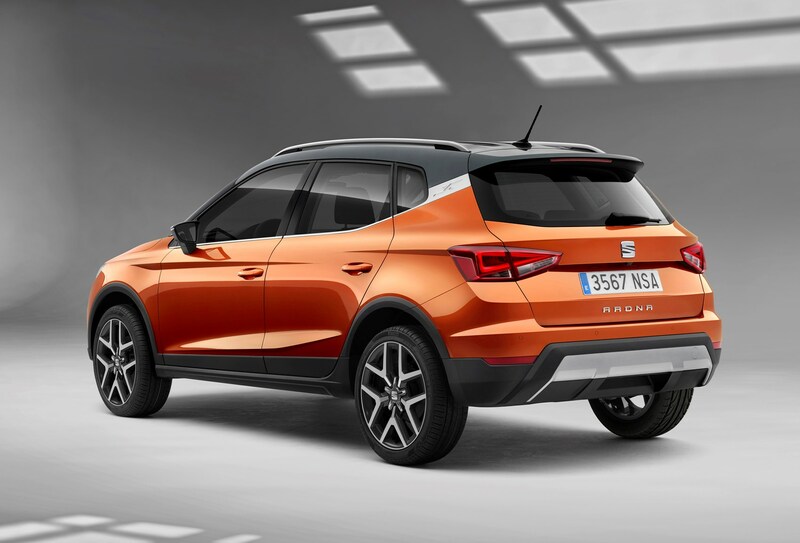 The SEAT Arona is the Spanish company's first attempt at a small SUV, and it’s designed to take some of the attention away from the big-selling Renault Captur, Nissan Juke and Peugeot 2008, as well as newer rivals like the Kia Stonic, Hyundai Kona and Citroen C3 Aircross. 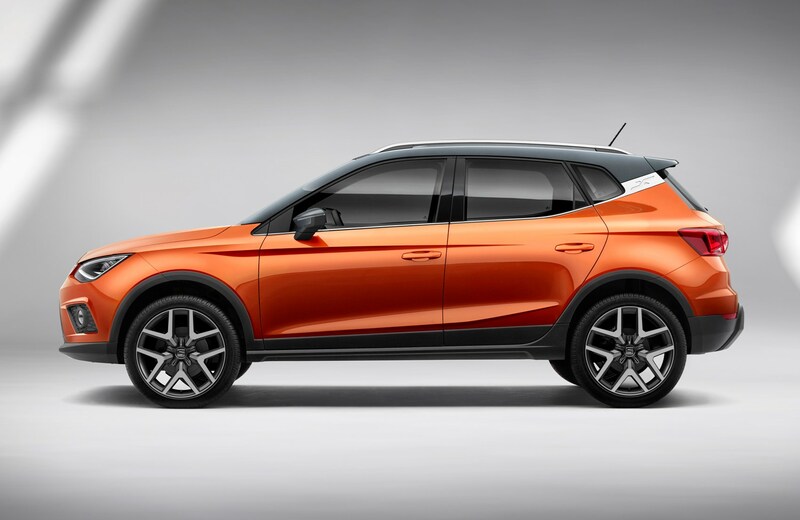 Despite being taller, longer and wider than the SEAT Ibiza, the Arona shares the same underpinnings (and many mechanical components) as its supermini sister. 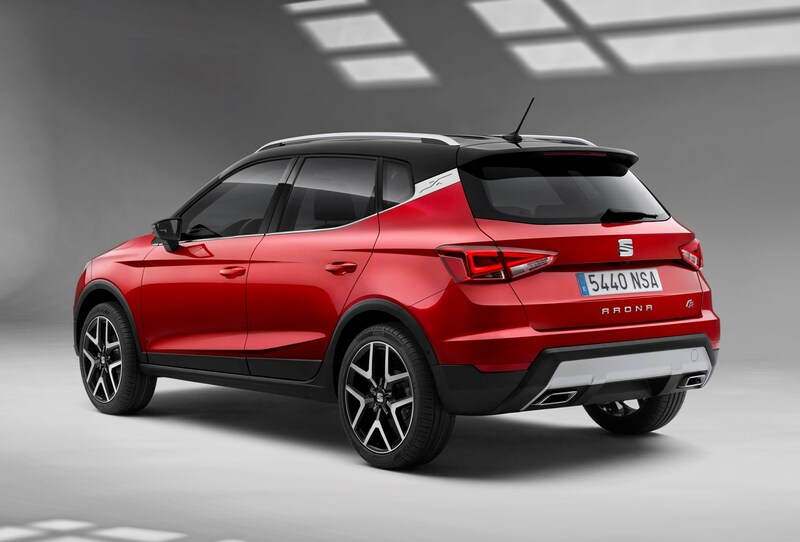 Highlights of the Arona include a focus on personalisation – with up to 68 different colour combinations to choose from - a slick all-new 8.0-inch infotainment touchscreen (also seen on the Ibiza), family-friendly practicality and lots of kit thrown in as standard. Another bonus is that metallic paint is standard – even on the entry-level model, including two-tone designs – saving you up to £1,000 or more compared with rivals. The Arona measures 79mm longer and 99mm taller than the Ibiza, giving it a more SUV-like feel from behind the wheel. 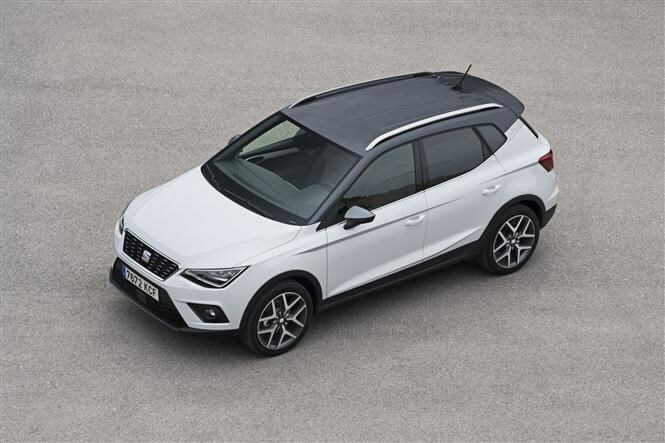 Drivers will benefit from easy access to the front and rear seats, plus a raised-up, commanding driving position (the driver’s seat has been raised by 52mm over the Ibiza) offering a greater view of the road. 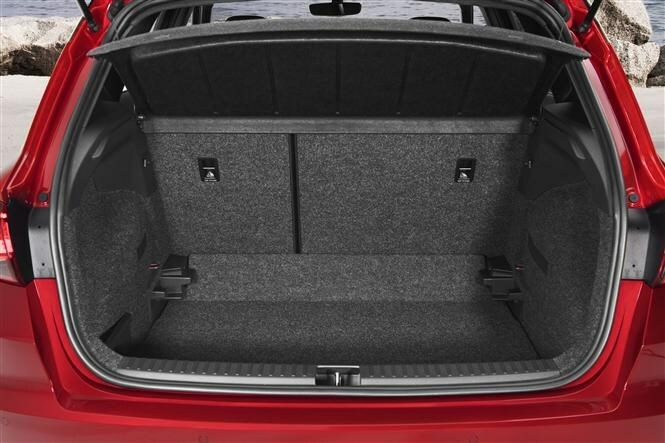 Boot space also improves on the Ibiza’s 355 litres, the Arona coming in at 400 litres with the rear seats in place. That’s 36 litres more than the Nissan Juke, one of the original style-led compact crossovers. 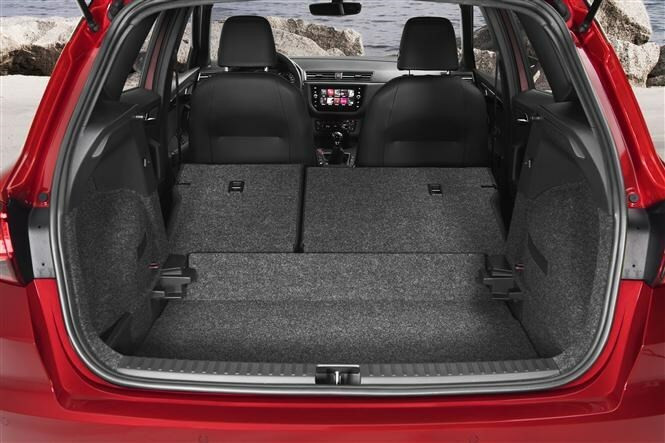 These larger dimensions mean the Arona is much better suited to life as a family car than the Ibiza, with a generous amount of interior space, especially when it comes to headroom in the back seats. It’ll easily seat four adults in comfort. Of the three available petrol engines, two are 1.0-litre three-cylinder units. 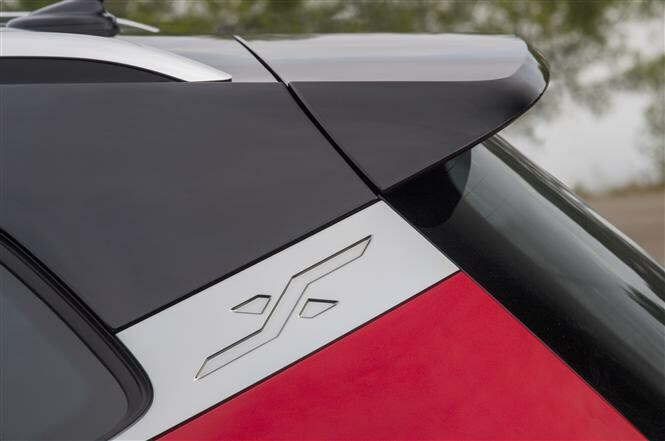 The lower-powered version offers 95hp, while the pokier derivative has 115hp. 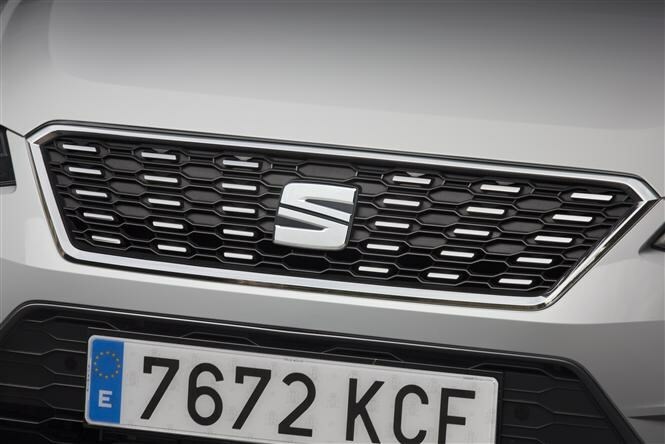 If that’s not enough then SEAT also offers a 150hp 1.5-litre TSI Evo four-cylinder petrol engine with active cylinder deactivation technology. This shuts down two of the engine’s four cylinders under light throttle loads in order to boost efficiency. Those who prefer diesel power can choose a 1.6-litre TDI turbodiesel motor, in 95 or 115hp form. Gearbox options include five- and six-speed manuals, plus a seven-speed DSG automatic transmission available on the 115hp petrol and 95hp diesel. 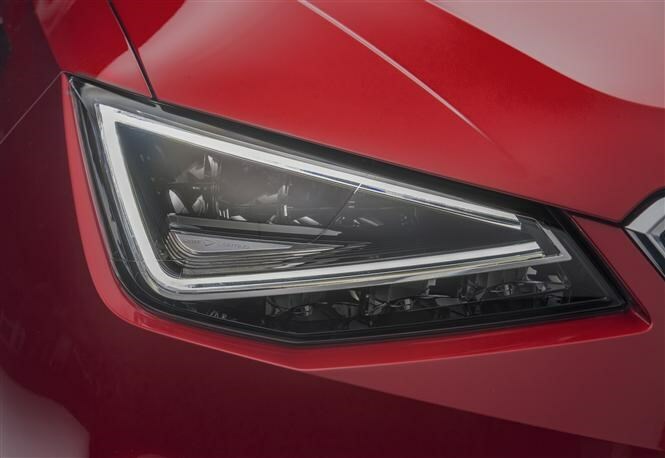 As there’s no four-wheel drive option (despite its looks), you can expect all engines to produce broadly similar fuel economy, emissions and performance figures as those seen on the Ibiza, meaning the Arona won’t cost a fortune to run. 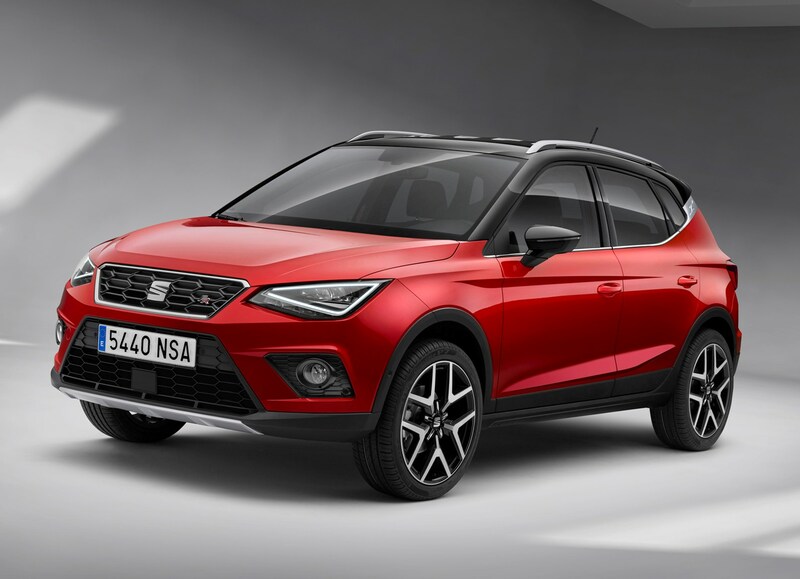 Like the Ibiza, the Arona is available with a vast array of traditionally big-car technology, including wireless phone charging, keyless entry/keyless go, adaptive cruise control, Apple CarPlay/Android Auto and automatic parking. Safety is also a priority, meaning that high-tech kit such autonomous emergency braking, multi-collision braking (applies the brakes after a crash to stop further incidents), hill-hold control, blindspot monitor and cross traffic alert are all available. 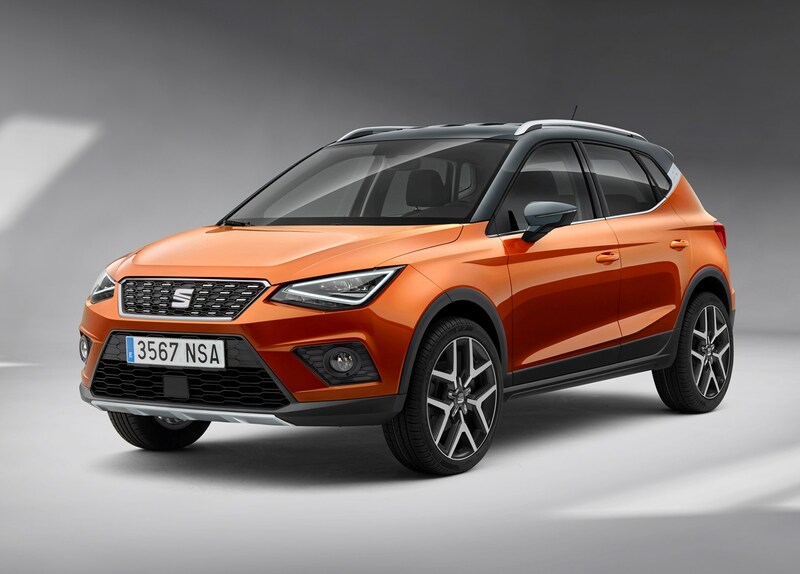 Another highlight of the Arona’s tech offerings is the premium-looking 8.0-inch black panel touchscreen – also seen on the SEAT Ibiza – which is standard on all models bar entry-level SE versions. It’s a marked improvement over the dated-looking systems in the Ateca and Leon, and makes for a far slicker user experience. The unit fitted to the base model, however, is a dated looking 5.0-inch device that looks tiny, as it sits in the same space in the centre console, and has a lower-quality screen. If you want an up-to-date media system in your car, it’s well worth spending a little more for another trim. And if you're an audiophile, you'll want to look at the Arona Beats, a dedicated model featuring a Beats stereo upgrade. 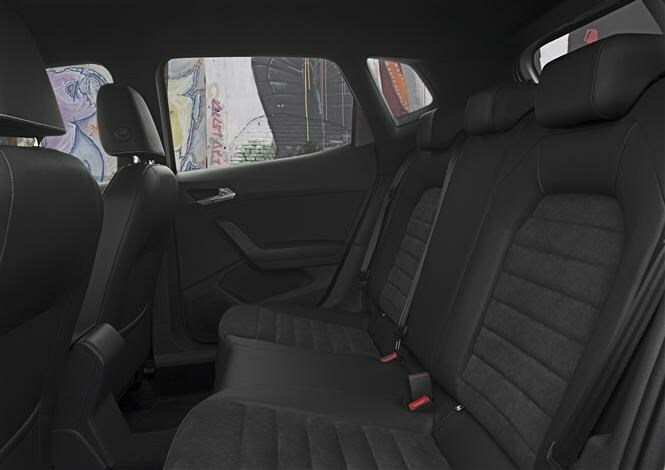 The Arona comes in a wide variety of trim levels, with few options available. 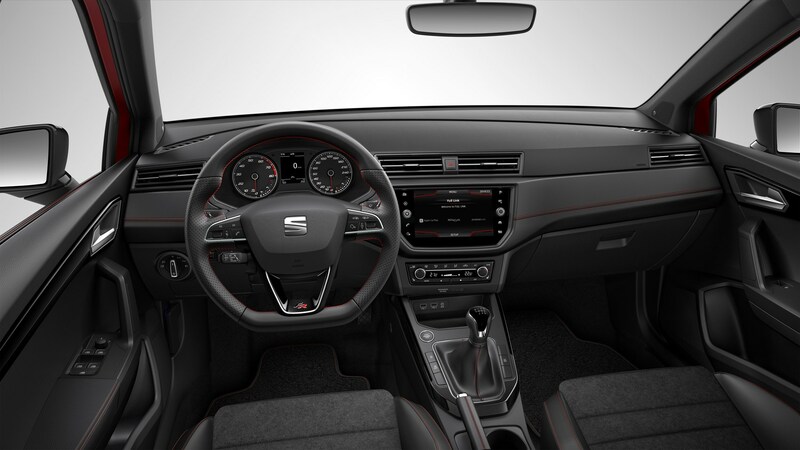 SEAT is trialling a new way of buying called Easy Offer. If you want more kit, you simply move up a trim level, rather than piling on options to a lower-spec car. It should mean that you’ll wait less time for your car to be delivered, if ordering new, and also that it’ll retain its value better. As all the equipment fitted contributes to the car’s value at the end of the finance contract – rather than adding individual options that simply bump up the initial price but may not be taken into account in a higher predicted end-of-contract value – PCP finance monthly payments are very good value on the Arona compared with rivals where you'd have to spend extra on options. 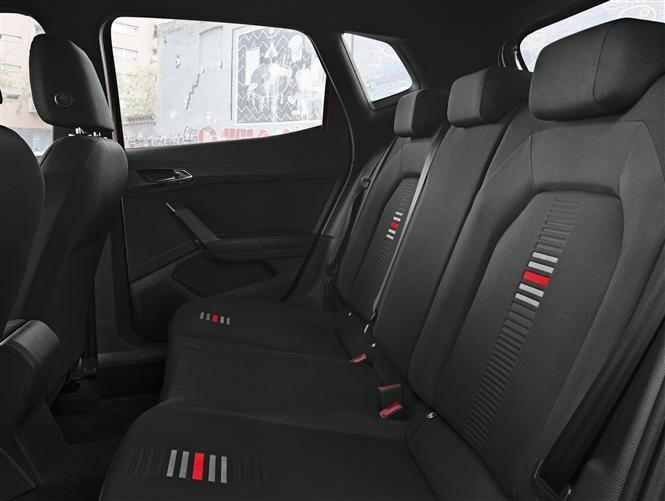 In May 2018, a recall was issued on SEAT Arona, SEAT Ibiza and Volkswagen Polo models regarding the left rear seatbelt releasing unintentionally. The problem was most likely to occur during events such as a high-speed lane change and resulted in the centre left rear seatbelt unlocking when both the centre rear and left rear seat are unoccupied. A technical fix was found and fitted to affected vehicles during recalls. 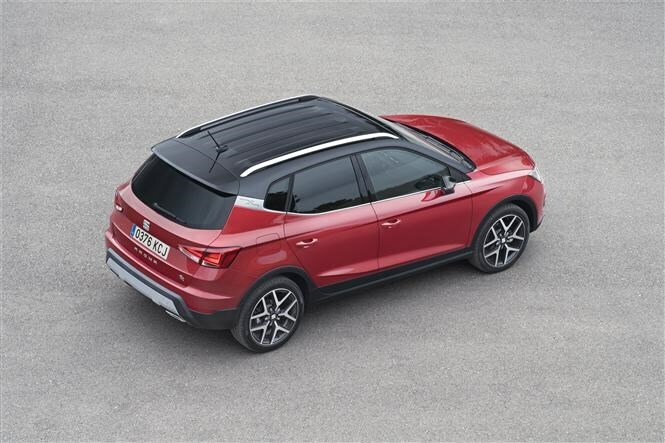 The Arona’s lower body and roof (plus windscreen and rear pillars), can be finished in different colours in an effort to allow for personalisation. Therefore, should they wish, customers can have the upper body and roof painted in orange, while keeping the bottom half a more subtle shade of grey or black (or vice-versa). 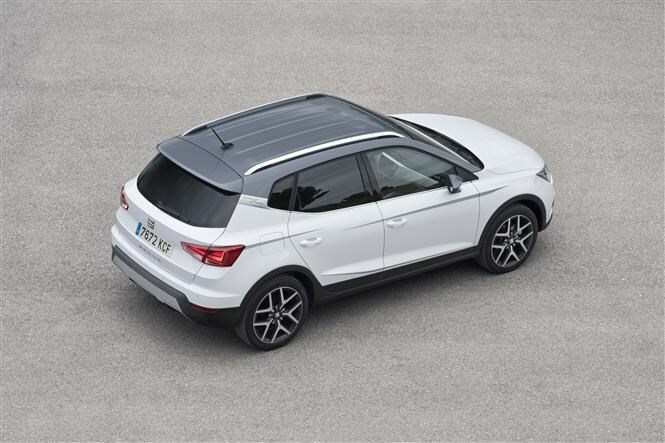 Better still, whichever combination you go for – whether you go for a contrasting roof or not – you won’t have to dig further into your pocket to pay for it. 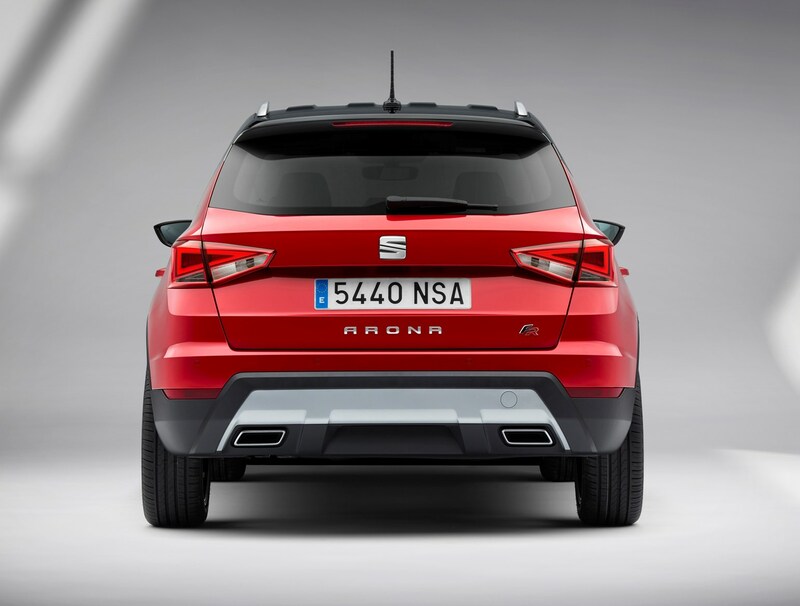 Should you buy a SEAT Arona? 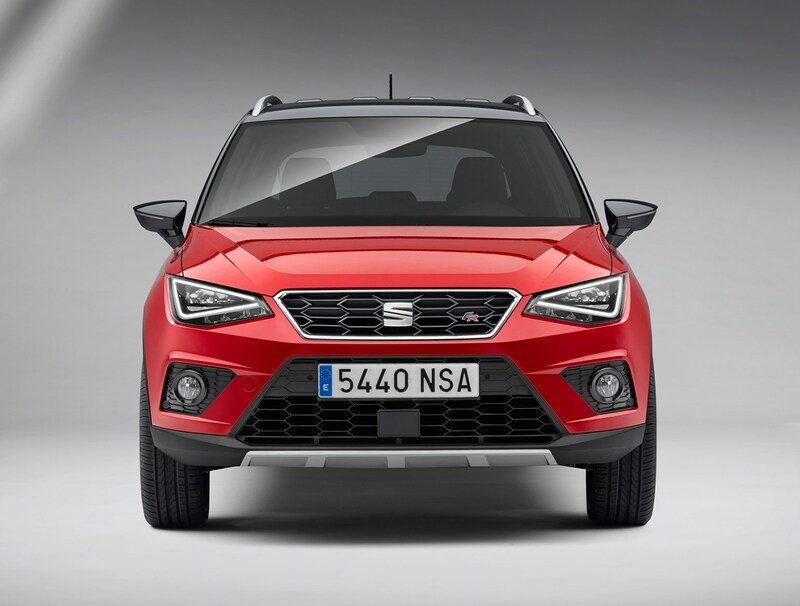 The SEAT Arona SUV is one of many compact crossovers, so it’s got a tough fight on its hands to see off the many rivals also on sale. It’s among the best available, though, with sharp styling, a smart interior and an enjoyable driving experience. There’s also a comprehensive trim line-up and many engines, so buyers won’t struggle to find one that suits their needs. The main issue it has is that it needs to stand out among the huge number of rivals. 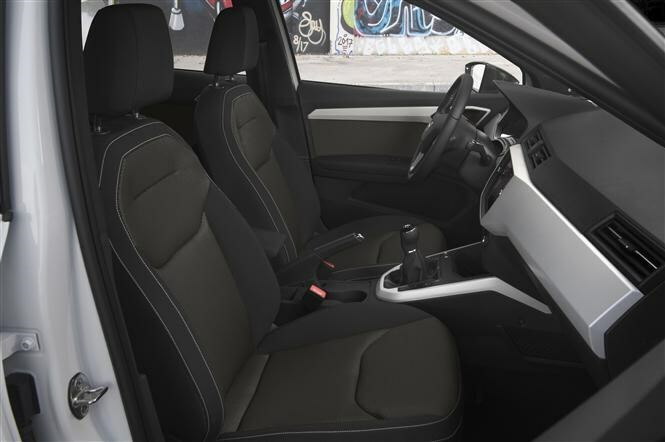 Read on for the full Parkers SEAT Arona SUV review to see how it stacks up.